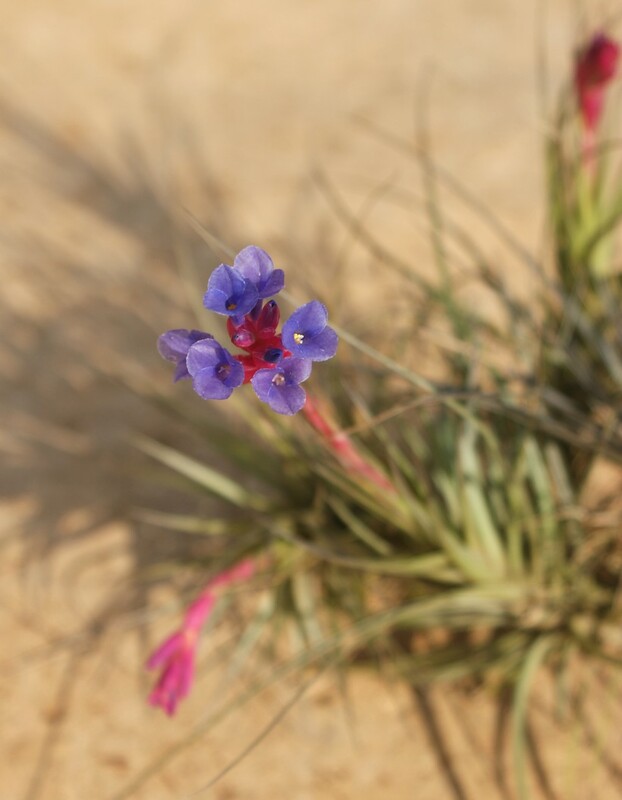 Tillandsia tenuifolia Blue Flower is a great starter plant for air plant growers. It is sometimes overlooked as the foliage isn’t as showy or dramatic as others but it grows easily, clumps fairly quickly and the flowers are very rewarding. Leaves are variable but in our plants they have narrow leaves, growing in dense tufts and are dark green or grey green. The flowers are violet blue on hot pink bracts and make a colourful splash in the garden. 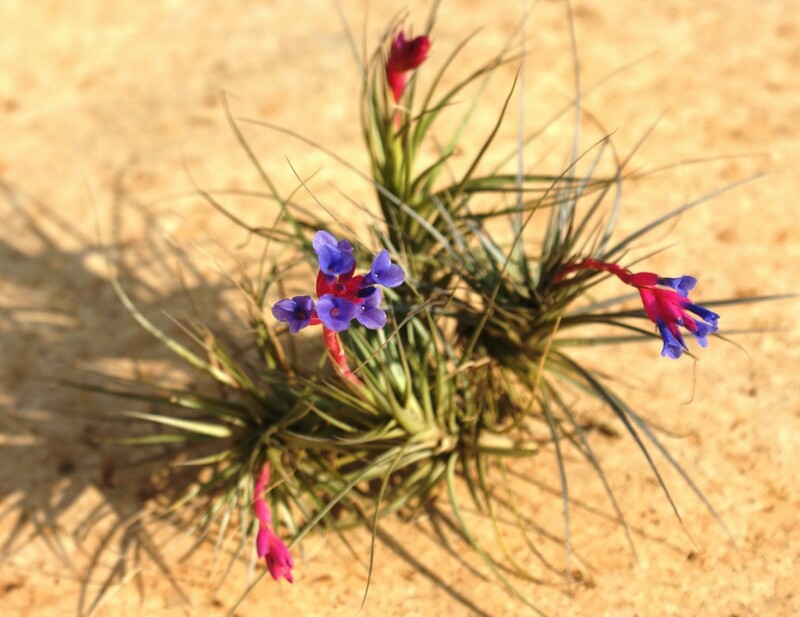 When the weather starts to warm up in Spring these flowers burst out and as with other tillandsias after flower they will start to push put pups and make an even large clump. This is a pretty robust air plant- it likes sun to partial shade and moderate water- if the leaves start to curl a little that is a sign it would like some more water. In their native Venezuela, Colombia and Argentina tenuifolia grows on epiphytically on trees or on rock faces. They really thrive mounted onto a piece of wood and hung in a bright breezy place outside.